Last month we spent a good deal of time in El Paso, catching up with two partner churches, Sun Valley Baptist and Grace Bible Fellowship. Small group meetings, men's morning Bible studies, and prayer meetings kept our schedule full as we sought to reconnect and serve these two faithful supporters. We praise the Lord that a new member at one of the churches decided to take us on as an individual partner as well. Then we hit the road to Albuquerque, NM, to visit two other churches where we've spent a significant amount of time. We visited Alameda Bible Church and had a meal with their new pastor. We were sad to see their previous pastor retire, but we're excited about how God is going to use the new pastor to continue to forward the cause of his Son through the church and continue to make a difference in that community. We also saw our good friends at Northwest Baptist Church. We invested our Wednesday evening updating them about our last year in Zambia and our hopes for a quick return to ministry in Africa. 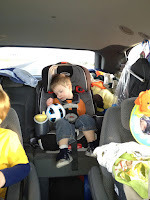 Yesterday we drove the 479 miles from ABQ to Brighton, a town north of Denver. 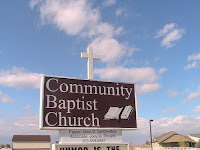 Tomorrow we'll be updating Community Baptist Church about our ministry. Praise the Lord for our safe journeys and encouraging times with fellow followers of Christ. Please pray for continued wisdom with raising children on the road, for healthy bodies and good attitudes, and for more partners among the churches we visit and people we meet. We're so grateful for your prayers!